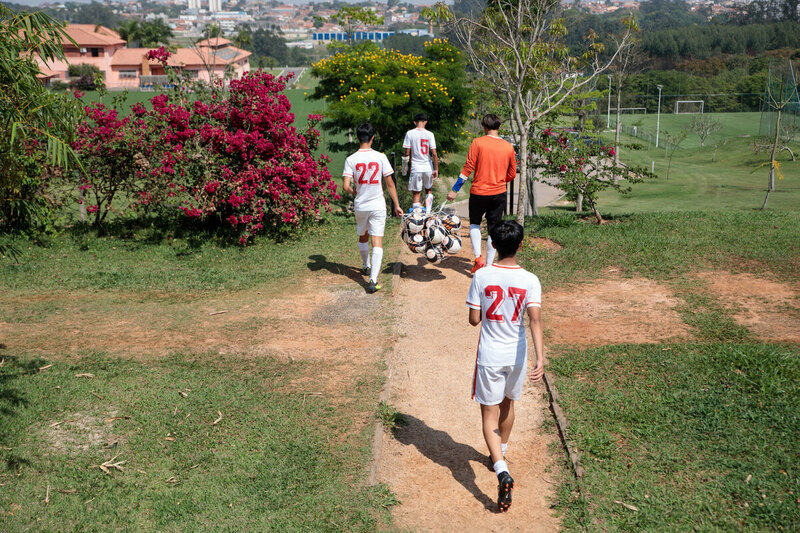 Brazilian and Chinese players practice at the Desportivo Brasil academy, in Porto Feliz, Brazil, in September. 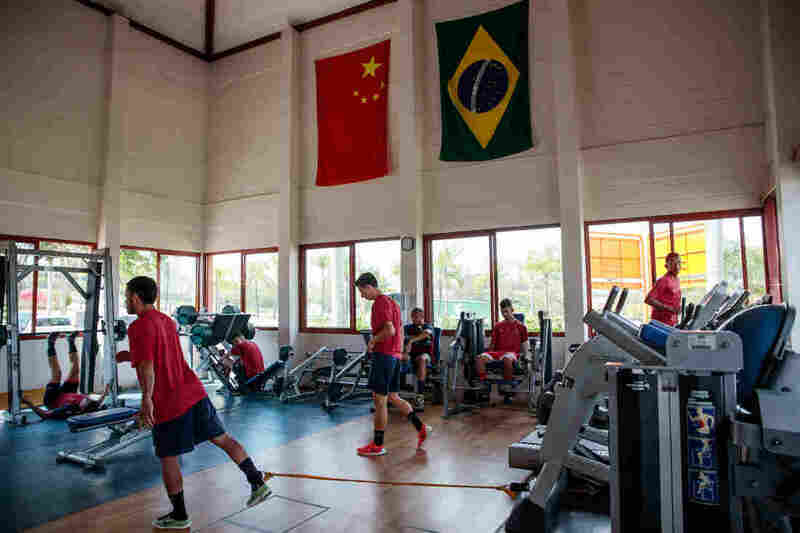 Chinese players work out under Chinese and Brazilian flags on display in Desportivo Brasil's gym. 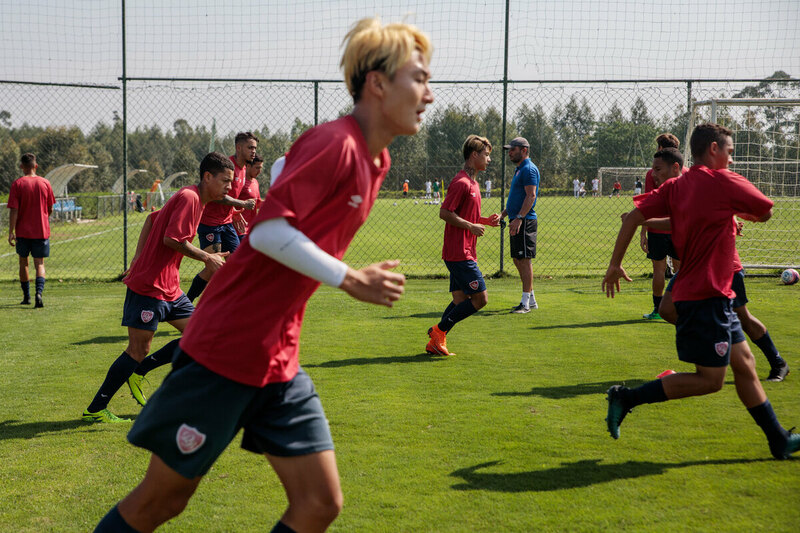 The academy belongs to Desportivo Brasil, a club set up in 2005 by a Brazilian entrepreneur who wanted to nurture marketable young players from the region; it has a professional team, comprising mostly Brazilian players, that competes at the level. 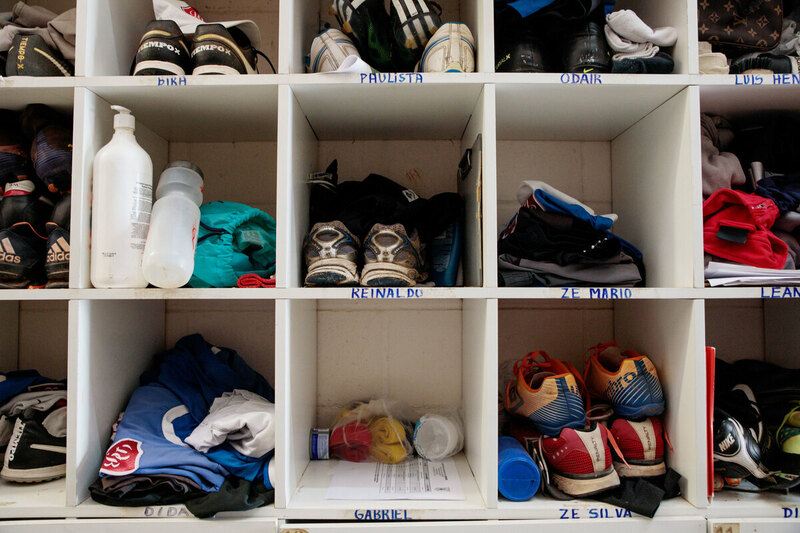 Clothes and shoes in the locker room at Desportivo Brasil. 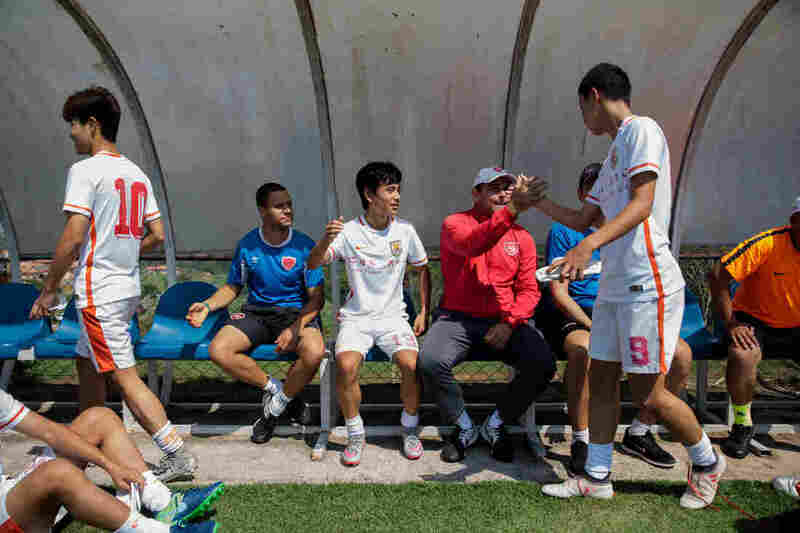 Chinese soccer players shake hands with coach Leonardo Galbes and other instructors after practice. 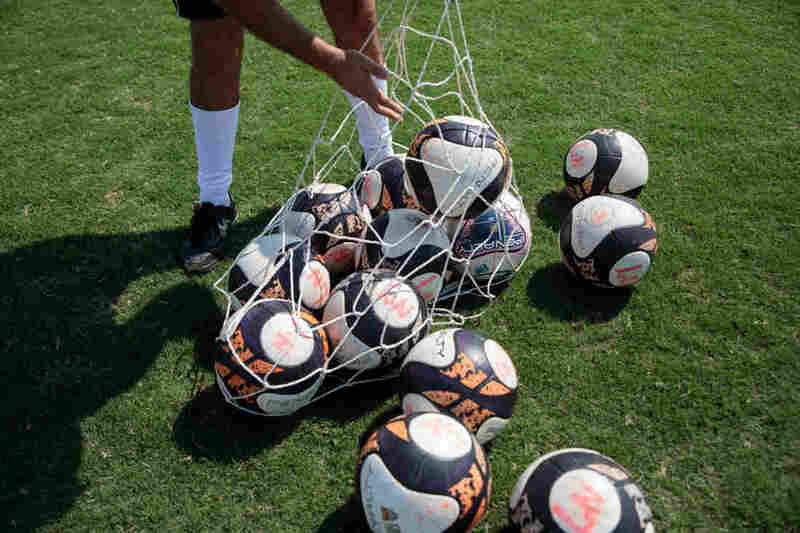 An instructor gathers the balls after a practice. 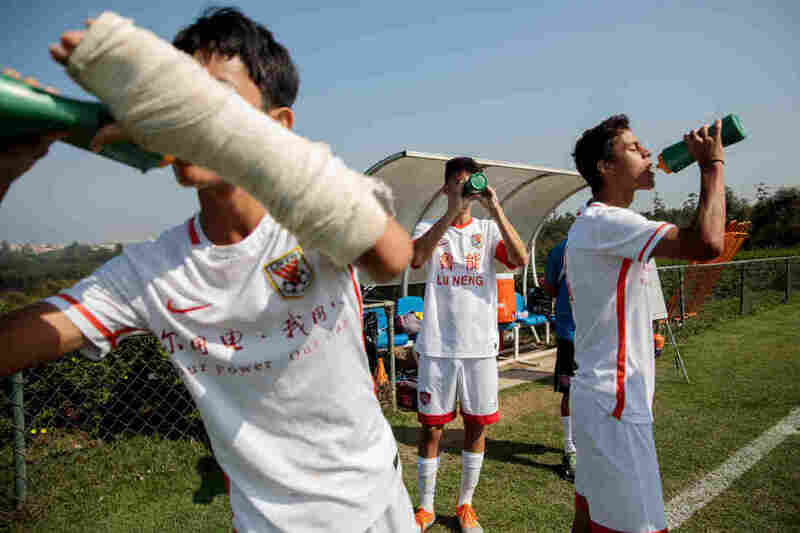 Brazilian and Chinese players drink water during a practice break.